Overall, knowing Russian even in Russia is not always considered to be an asset! And some Australian, for example, who starts learning Russian really surprises! 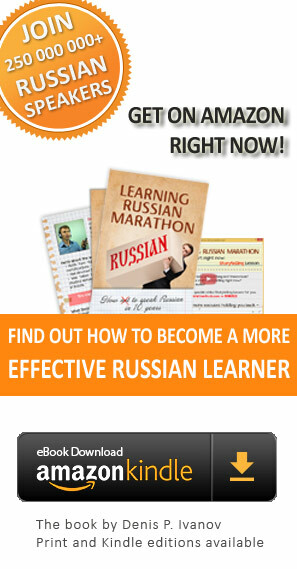 The most unusual discovery for me personally was to learn that there are people who strive to learn Russian. And there are quite a few of them! It is unexpected and unpleasant that those who would like to learn Russian don't have a lot available to them out of the latest achievements in the sphere of learning technologies. They have to use the methods from two centuries ago. Even the available products of suitable quality offer teaching «empty» and «pointless» Russian language. Nobody is interested in the answer to the question «Why does someone in the morning in Australia today need the Russian language?». That is why they are offering endless dialogues about the «Meeting in the airport» and other trifles. When I started creating the company, I put the benchmark very high up. Developing a program of teaching the language based on a full-proof technology is not enough in my opinion. I am confident that our programs have to open up the way to understanding the culture and the mentality. Only then they are able to solve students' tasks and will not simply be another language aid on the shelf, on a disk, or in the head of the student. I realize that this goal is a kind of a challenge. But we have taken up this challenge. We will live and work with it. “Make you feel comfortable and confident in Russia... almost like in your hometown!"